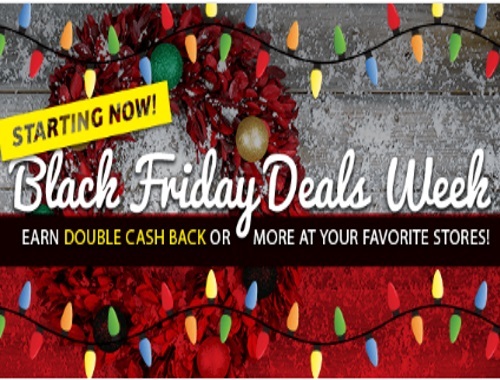 Swagbucks has Black Friday Deals! Earn cashback or more at your favourite stores! Each day this week, Swagbucks is bringing you exclusive 1-Day Only Deals. From gift cards to tech gadgets, fashion and toys, get a stocking full of cash back when you shop our Black Friday Deals! Just for signing up for Swagbucks through me, you can earn a 300 SB bonus if you earn 300 SB before December 1 - if you spend at least $25 shopping through Swagbucks during that time, you'll get another 200 SB bonus!